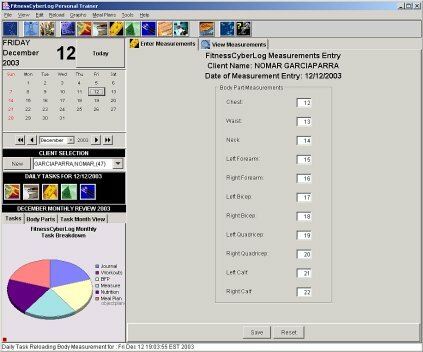 Select any client and enter the circumference measurements per body part and save the data. You can then show the client the corresponding graph that will compare any date selected for a measurement to their first measurement. This is a another great way a Personal Trainer can show the effects of their personal training program to the client.